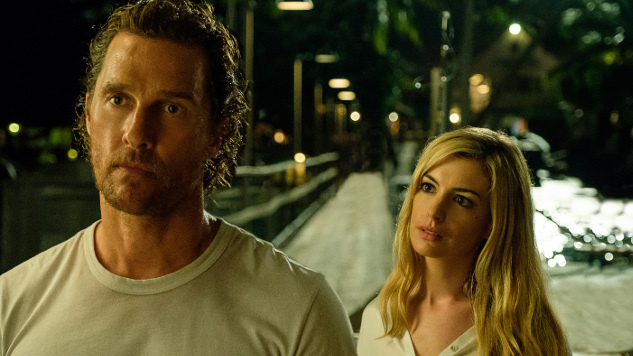 Academy Award winners Matthew McConaughey and Anne Hathaway seek the truth in the mysterious new trailer for Serenity, written and directed by Peaky Blinders creator Steven Knight. 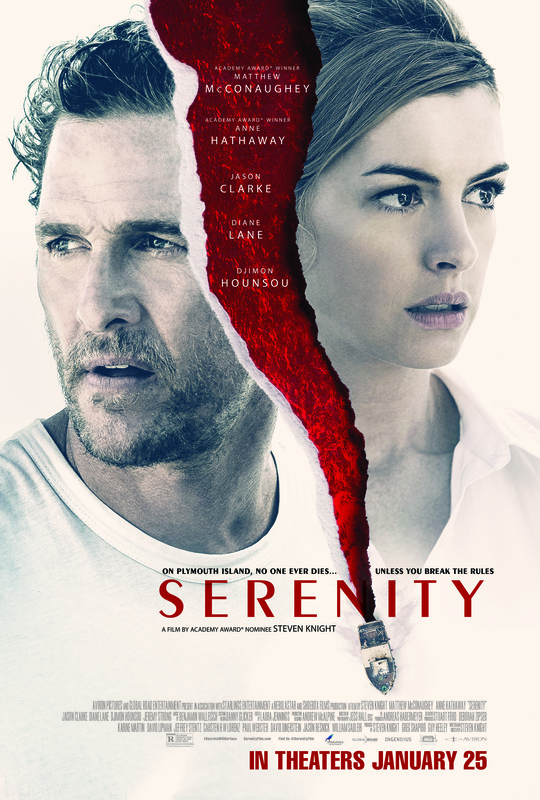 In Serenity, McConaughey stars as fishing boat captain Baker Dill, whose quiet life is shattered when his ex-wife Karen (Hathaway) tracks him down with a $10 million offer to throw her violent current husband (Jason Clarke) into the ocean with the sharks. Serenity also stars Djimon Hounsou, Jeremy Strong and Diane Lane. As with the film’s previous trailer, this new one offers few answers about what to make of Serenity beyond this basic premise. Baker hints at some Lost-esque island mystique in the closing moments, asking, “Where in the world are we?” However, it seems we’ll have to see for ourselves what sort of twists the film has in store. Aviron Pictures has moved Serenity from its original Oct. 19 release date—the film is now set to descend into theaters on Jan. 25, 2019. Watch the new trailer and check out a new poster below.